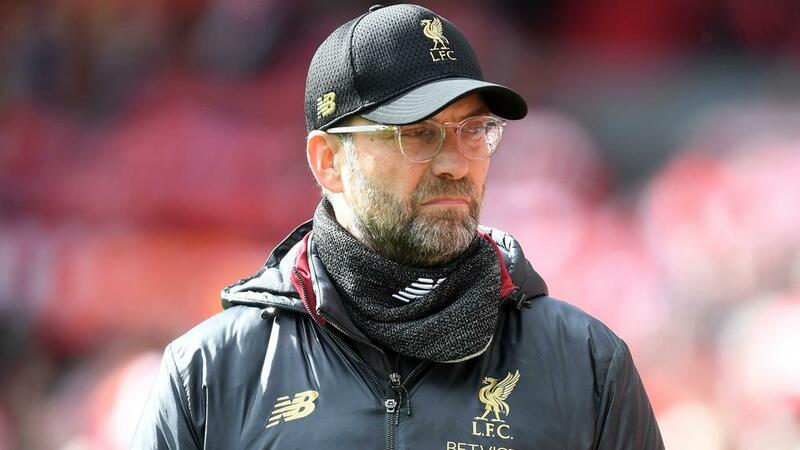 Liverpool manager Jurgen Klopp accepts the Premier League title contenders will face "problems," but he played down any pressure. Klopp's men will head into Sunday's clash at home to Tottenham in second in the table after Manchester City's win over Fulham. But the German dismissed any pressure, telling his players it was only normal for them to encounter difficulties at different stages in matches. "We will have problems in the football game. You have to accept you will have problems," Klopp told UK newspapers. "We have had a lot. That has allowed us not to feel the pressure. I don't feel the pressure. We just go for it. "Let us do it again, again and again. Don't hesitate. That is the plan." City hold a one-point lead atop the table, while their goal difference (plus 60) is better than Liverpool's (plus 52). But with seven games remaining in the Premier League season, goal difference is not yet a concern for Klopp. "You score when you score, I don't tell the boys to go out there and score six because it is disrespectful," he said. "I'm happy if we just score the first goal and then the second. "We score quite a lot of goals, anyway. People say it is not the same football as last year but we have not lost a lot of games. "We have not been punched in the face yet like we were in Kiev, Basel or wherever in the last couple of years, but we have had a few difficult moments and tried to overcome them. That's all you can do really."